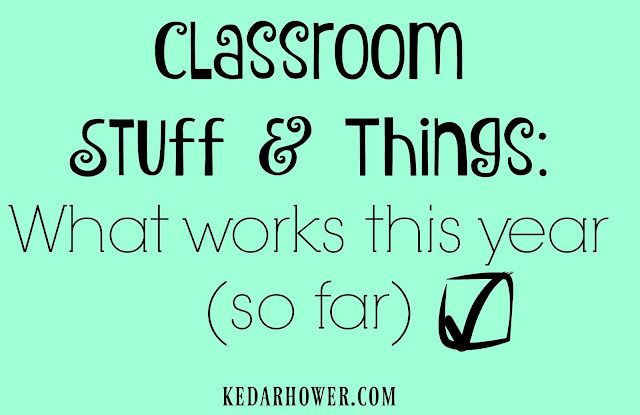 This is a really dumb time to post what works well in my classroom because, honestly, nothing works around Christmas. They're too excited for a break. Regardless...here's what I've been using lately...I'm not even using some of this anymore because I'm weeding out what works continually and what has run its course. I posted what was working so far last month as well. 1. Rocket Math. Back in Alaska, this program was mandated and I really didn't like it. It was introduced my second year and was a huge waste of paper. No one really followed it to fidelity because it was tricky to do and took a lot of time and organizational effort. We practice for about 10 minutes a day, total. They get 4 minutes with their partner to do the practice. Not everyone always does this correctly and I hate patrolling like some sort of soldier...but there's enough that do actually do it correctly that it pays off. After the 4 minutes, they go back to their seat and get their dry erase marker ready. They get one minute to take the test. They get two minutes to count it up, fill out their chart, and put it away. If they pass the set, they get a new one the next day before we start our partner practice. I hand those out but they have to come to me if they need a new one. I have multiplication and division sets, but in order to graduate from multiplication to division, they have to pass "Z" on a piece of paper, not just a dry erase sheet. I also watch them. They'll stay on "Z" forever if they can't pass, because this is 90% honor system (again, I'm not going to patrol because they are 10 years old) and the results of that last test will tell whether they've been dishonest or not. I adapted this from a game my own 4th grade teacher used to play with us. I've tried it with every single 4th grade class I've had but it's only really taken off with 3 of them: 2011-2012 in Alaska, 2014-2015 in Colorado Springs, and then this year in Colorado Springs. Essentially, they get in two lines. You can do boys vs. girls but someone the numbers are really uneven. I usually do odd numbers vs. even numbers, as each kid has a class number. They can get in any order they want; I don't care. The point of this is to be quick. They have to get in their lines in 30 seconds or we don't play but they can be as loud as they want while we play (it's only 2 minutes out of the day)...paying attention is the key so they usually are pretty engaged if they want to win. It's a cut-throat competition game in the sense that I hold up a flash card and the first two kids in line look at it. Whoever tells me the answer first, wins, and goes to the back of the line for another round. The loser sits down a their desk. If it's a tie, I give them another. If one guesses incorrect, the other student gets 5 seconds (I count down with my hand) to get it right. If they both give the incorrect answer, they both sit down. They don't get multiple guesses. The last student left gets their name on the poster and, for each subsequent win, they get a sticker. The first student to ten stickers gets to take the poster home and brag about it. There's no prize, really, except for the honor of it and this is why it doesn't work with every class. I try to get each group to buy in, but some classes can't even organize themselves into lines after days and days of practice. Then, I come up with other ways of getting them to practice facts, but this is my preferred method. I don't know why it took me so long to buy multiple boxes. I'm cheap in some ways and space is always at a minimum, I suppose. I was really tired of sorting through the one box multiple times a day, so this is my current set-up. It does take some training and I still get the question of where does this go? and then I just ask them what subject it is and they usually figure it out. 4. The clip chart. I already mentioned this once but ugh, I love it. The kids have all the buy-in. I credit this to the fact that I take my rewards seriously and so they do too. I'm working on what the rewards will be for the next quarter...it's time to pull out the big ones like sit by a friend or sit in the teacher's chair because January and February are no joke in the realm of classroom management. Considering that I currently feel like I'm already fighting a losing battle (they're GOOD kids, but there's 29 of them for goodness sakes), I need to be prepared this winter. 5. Book bags. I never taught guided reading before I came to Colorado, simply because I was taught that guided reading is for primary. Even in Missouri, the principal left it up to us whether we wanted to do CAFE, Daily 5, small groups, etc. I did a combination of Daily 5 and just a lot of whole-group, sitting-on-the-carpet instruction there. So, when I learned I'd have to do guided reading with 4th grade, I was lost. After a few years, I've semi-figured out a system but this was something I came up with this year. This isn't my invention and isn't new, but it's something that primary teachers often do. I give each kid a bag with everything they need in it for their novel study. I used to do folders and that didn't work at all, so this taking a page out of a 1st grade teacher's manual (someone I used to observe when I was in college) but it works well. The kids especially loved when I threw in a "frindle" for them to use when we read Frindle. Thank goodness for 2+ weeks off. We all need it.